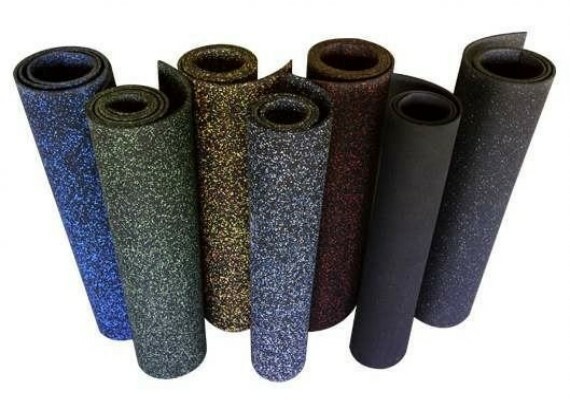 Rubber Flooring Rolls are made from recycle rubber tires and colorful EPDM flecks. It's a type of indoor and outdoor flooring. 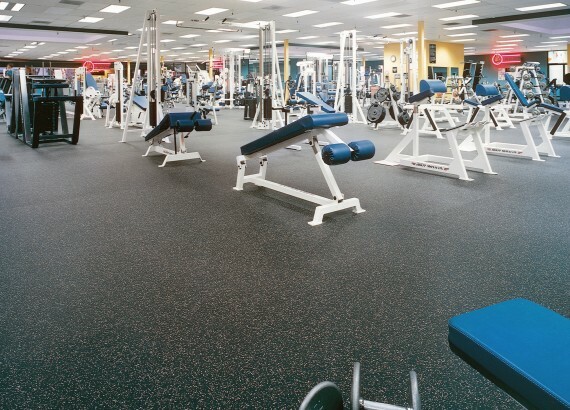 Softer than other flooring types, shock-absorbent, Slip resistant, Resilient and Durable. A great way to protect underlying floors from scuffs, scratches, dents and dinks. Reduce the force of impacts to protect our joints, tendons and reduce leg fatigue. 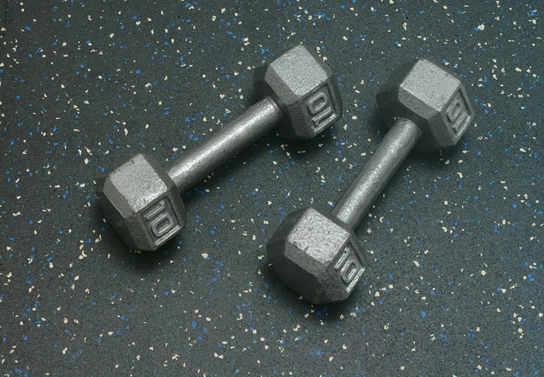 Great for home gym floors, basement floors and exercise rooms. 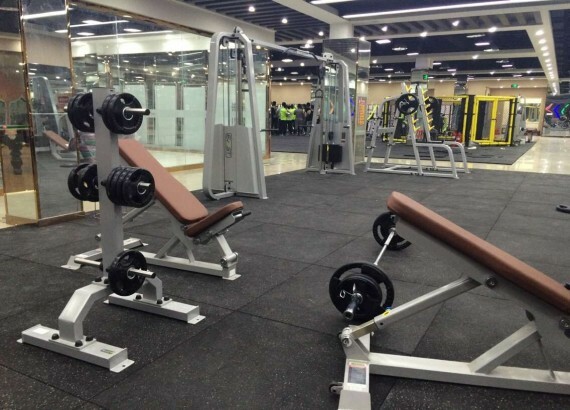 Designed to withstand the weight of exercise equipment. Rubber tiles are easy to clean. Wash them with a high pressure cleaner or simply warm water and a mop which will remove the rubber smell meanwhile. 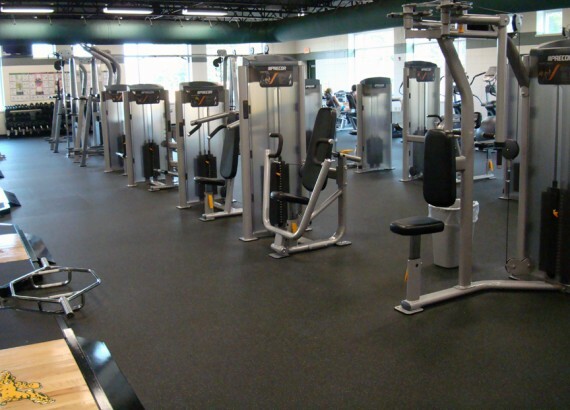 Mats may be installed over any relatively smooth, hard surface. This includes on or below grade concrete, hardwood, plywood, stone, VCT, or ceramic mat. The floor should be free of protruding objects, deep recessions, or indentations. Sub-Floor should be clean, dry, and level. 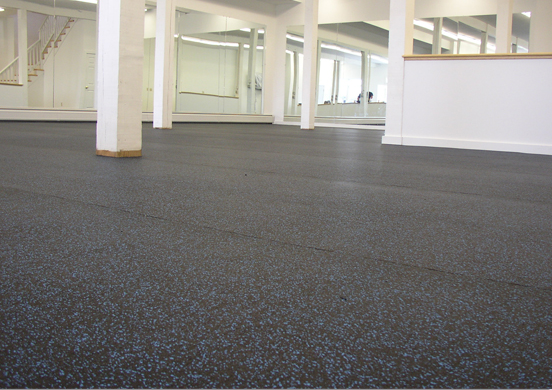 Remove dust, debris, moisture, and powder accumulations from all surfaces prior to installing rubber flooring. Length: 10m to 20m per roll. 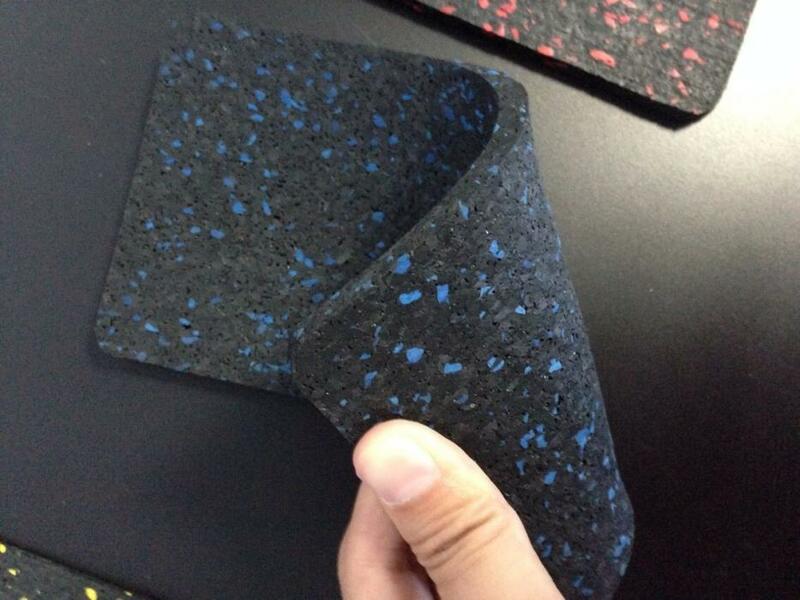 Solid color with 10% to 80% EPDM flecks.